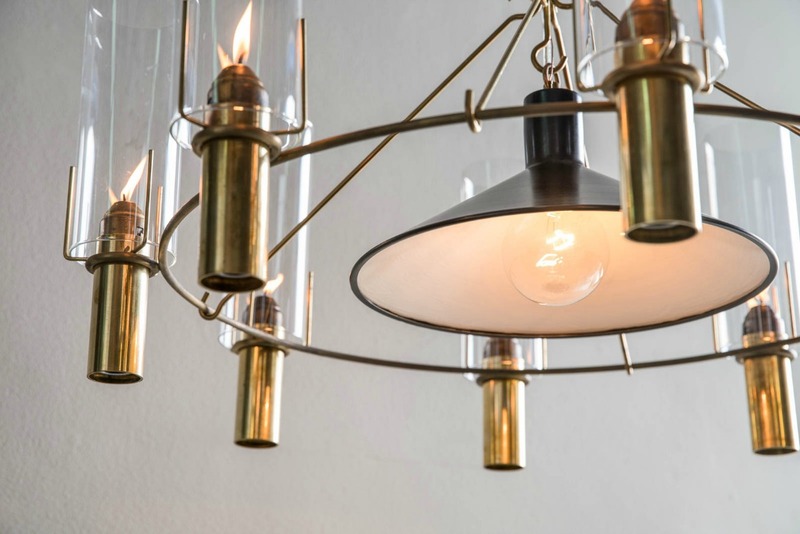 The Oliver Chandelier with Reflector is the perfect balance of elegant and industrial, comprised of a circle of eight spring-loaded brass candleholders with 8” glass cylinders and a reflector hood that provides down lighting. The spring-loaded feature allows for ease of use and replacement of its dripless wax candles. Give your clients the best of both worlds... 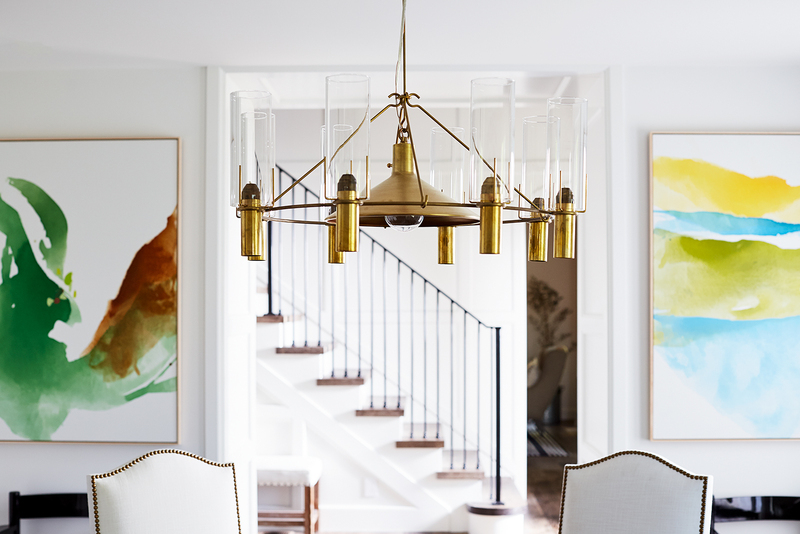 Blend the soft beauty of candlelight with an elegant downlight feature. 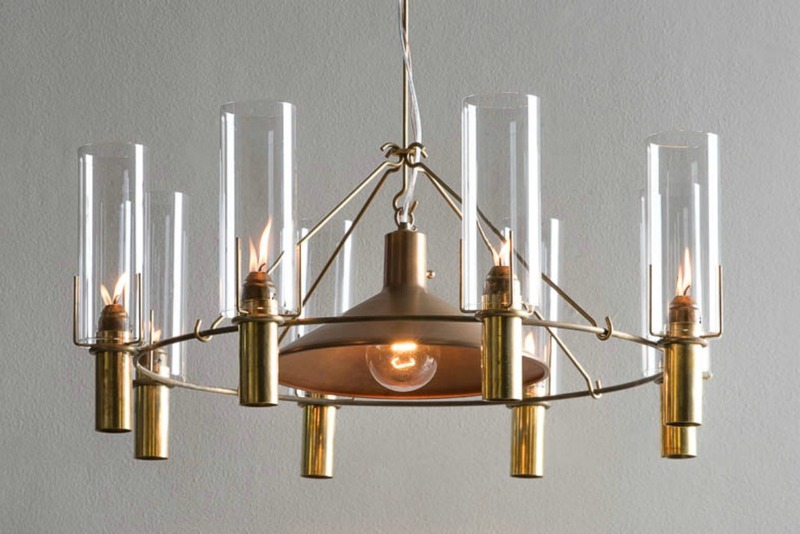 Illuminate your space with style and a bit of old-world charm..
Adjustable drop length up to 36" without premium charge. See our finish chart for available options. Reflector available in OXC, OXB, ORB, PN, PB, PF, BB. Hand-painted finishes available in any Farrow & Ball color. A striking style makes The Oliver with Reflector the talk of the table. Ships with 24 complimentary candles and one bulb. UL Listed for your peace of mind, damp or dry location only. Adaptable. 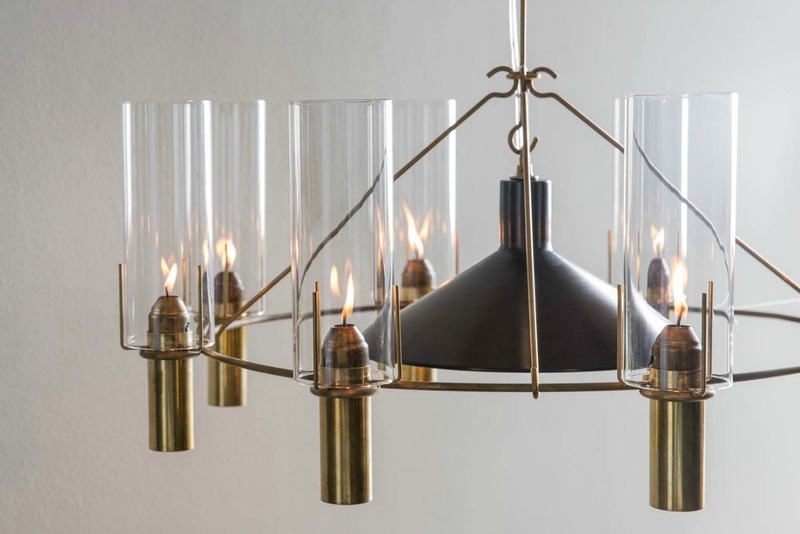 The frame and candleholders are produced in a living brass finish while the reflector hood can be adapted to achieve the perfect look. A different kind of light, with a soft candlelit glow and dripless, spring-loaded candles that are as easy as pie to replace. A striking style. 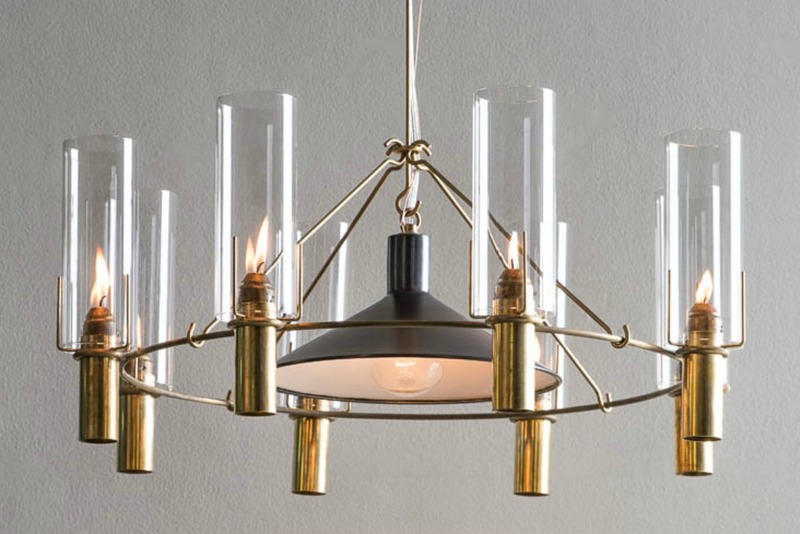 With an unshakable mid-century sensibility, The Oliver adds that something special to a space.